Dr. Shaheen Shariff is an internationally renowned expert on cyber-bullying and educational policy, and an Associate Professor of Education, McGill University. Her work is grounded in the study of law as it impacts educational policy on parent/school responsibilities to supervise and intervene when minors engage in bullying in cyber-space. 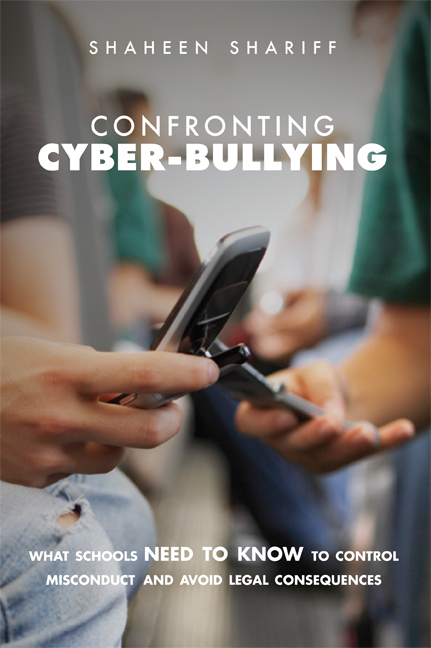 She has developed guidelines regarding the extent of legal responsibilities to addressing cyber-bullying: identifying limits on student free expression; privacy rights, cyber-safety, cyber-libel; and school supervision (in the physical school setting and on-line). An in-demand lecturer worldwide, Dr. Shariff has also served on an international advisory committee working with UNESCO and CIDA to develop a toolkit for drafting Teacher Codes of Conduct at the global level, and she is the Principal Investigator on three collaborative projects studying the phenomenon of cyber-bullying, funded by the Social Sciences and Humanities Research Council of Canada (SSHRC). She is the author of Confronting Cyber-Bullying: What Schools Need to Know to Control Misconduct and Avoid Legal Consequences (2009).